Heat the oil in a non-stick frying pan on a medium heat, and briefly fry the garlic. Add the cumin and paprika and fry for another 30 seconds. Stir in the tomato paste, chilli flakes, tinned tomatoes, sugar and water and simmer for 4-5 minutes until the sauce has thickened. Carefully crack the eggs into the simmering sauce, cover with a lid and steam until the eggs are set but the yolks are still runny, or until the eggs are cooked to your preference. 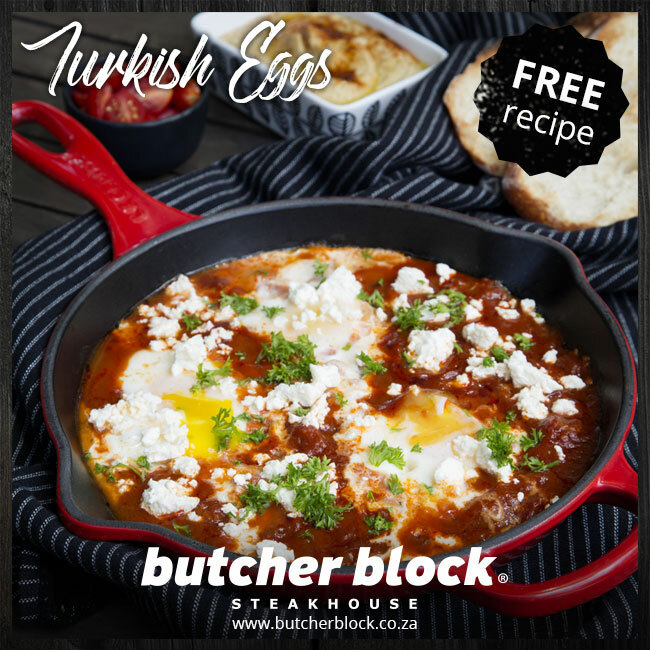 Crumble the feta over the eggs and sauce, garnish with chopped parsley or coriander, and serve with hummus, fresh tomato and bread.